Żminijietna – Voice of the Left is highly concerned with the recommendations put forward by the Privatisation Unit, to regenerate areas in the south of Malta, that fall outside the development zones, into a tourist complex. “Such proposals will be in breach of the existing planning regulations that regulate development in ODZ areas. Virgin land will continue to be sacrificed for unsustainable development. In fact 30% of the total land in Malta is already built”, stated Żminijietna. “On the other hand, Żminijietna supports initiatives to re-develop unused or derelict buildings for tourism purposes. Zminijietna also supports proposals to restore and conserve old historical buildings for such reason". Żminijietna against outsourcing of Cospicua health service. 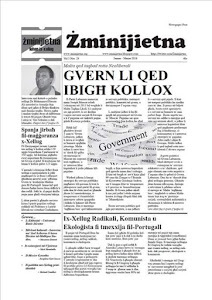 Żminijietna – Voice of the Left supports MUMN position which is against outsourcing of Cospicua Health Centre to a private company. Żminijietna maintains that “this new policy will finally lead to the privatisation of primary care in the community". Żminijietna continues by stating that “this measure is a follow up of the previous administration's policy to reduce primary care in the community, inorder to shift patients to a private practitioner. This is the same kind of policy but in a more subtle way”. Żminijietna - Voice of the Left therefore appeals to the government to halt this new strategy and instead invest more in human resources to strengthen primary care in the community. In June 2013, US President Obama and European Commission President Barroso officially launched negotiations on a Trans-Atlantic Trade and Investment Partnership (TTIP), or a Transatlantic Free Trade Agreement (TAFTA), as some are calling it. Both names overstate the importance of trade, which is only a tiny part of the negotiations. The main objective of the TTIP or TAFTA is to harmonize to the greatest extent possible transatlantic rules, regulations and standards on food and consumer product safety, environmental protection, biotechnology and toxic chemicals management, financial services and banking, domestic regulation of services, pharmaceutical patent terms, and many more areas of public policy, such as investment and public procurement, market access of goods and services, regulatory issues and rules on matters such as intellectual property rights, social and and so forth. EU and US governments will hold onto a “right to regulate” but it will be severely constrained, subsumed under the overall priority of reducing barriers to investment opportunities for multinational corporations. The TTIP/TAFTA will also contain very powerful investment protection rules and an investor-to-state dispute settlement process. Both European and US officials, backed by powerful business lobbies, will be pressing for maximum protection for corporations against legislative or regulatory interference into their “rights” to profit from transatlantic trade and investment. Both the European Parliament and the European Council have both given their consent to the European Commission for a negotiating mandate for the TTIP process. The European Commission is negotiating on behalf of the EU and its Member States, and the European Parliament is entitled to be regularly informed on the process in question. In accordance with the EU Treaty on the Functioning of the European Union (Article 207(3) and Article 218 of the TFEU), the final TTIP agreement can only be concluded by the European Council and the Member States if the European Parliament gives its consent. 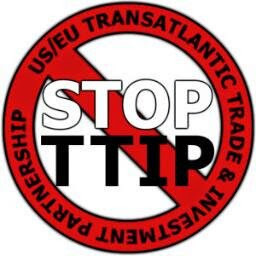 The TTIP process is attempting to push forward an Americanized ‘one-size fits all’ neo-liberal model to the detrminent of social, environmental and economic standards and rights, and to the detriment of a multipolar world of peaceful coexistence. Indeed, various countries and blocs around the world, are resisting such Americanization, with the BRICS initiative being a recent case in point. Access to medicines: The TTIP can undermine public health policy and negatively impact people’s access to affordable medicine. Drug companies are hoping to expand periods of monopoly through patents and other intellectual property measures. This can undermine regulations set by European Member States to protect public health as well as increase the price of medicinal products. Agriculture and Genetically Modified Organisms (GMOs): The EU has tougher regulation than the USA on GMOs, especially since many consumers are wary on their consequences in relation to health and the environment. It should be of no surprise that environmentalists are critical of having commercial interests ride roughshod over ecological concerns in this and similar matters. Audio-visual services: The European Parliament and the European Council do not want it to be included in the TTIP, even though the US and the European Commission would like its inclusion. The latter can however make recommendations in this regard, which, however, require unanimous agreement of the Member States to proceed. Chemical Safety: An industry bypass could be created in the regulation of toxic chemicals. Where commercial interests and trade are given precedence over the protection of human health and the environment, stifle innovation in safer chemicals and Impede global action on toxic chemicals. Climate Change and Energy: TTIP could intensify fossil fuel use, to the detriment of renewable energy sources. TTIP may prohibit state or national support for renewable programs through the elimination of ‘local content requirements’ also known as buy-local rules, further undermining efforts to transition to a low carbon economy. Consumer Rights: Big business demands to remove non-tariff barriers (NTBs) to trade will negatively impact consumers. NTBs can be anything from more comprehensive food labelling, that identifies where and how food was made, to online privacy measures, to regulation banning certain chemicals from cosmetics, toys and other products. Data Rights: Data privacy is not on the table, but data-flows are covered under the eCommerce chapter. Data protection regimes in the US and EU differ, with Europe viewing them as a basic right, and the US as a barrier to trade. The recent NSA scandal and EU government surveillance have highlighted the global need for high level data protection standards. The EU will lose leverage needed to protect privacy. In addition, investor-to-state dispute settlement may further undermine privacy. Democratic Accountability: The TTIP can lead to lack of democratic accountability on various policy areas, if regulatory competence is transferred to unaccountable and unelected technocratic structures. Economic Impacts: There are considerable downside risks associated with removing remaining trade tariffs and very few actual economic gains from TTIP in terms of GDP, jobs, trade flows, and real wages. A number of esteemed economists believe political leaders are overstating the positives. Education: Teachers and students across the EU have also expressed concern on the TTIP, with the European Students’ Union being highly critical of having public education being treated as an ordinary economic service, where commercial profit becomes more important than quality education. Financial Sector: The TTIP could result in increased deregulation and watering down of standards of the financial sector, thus adding risks to economic sustainability and stability. Food Safety: Harmful processes permited in the USA (such as hormone-injected beef and widespread use of antibiotics in farms) could negatively impact the European food industry, as such food is produced more cheaply and at a lower quality. The agreement could also make it much harder for EU member states to make up their own mind on accepting GMO crops, for example. Health Services: Public healthcare could be subject to commercialization and competition rules, to the detriment of patients’ universal access and workers’ rights. Legal Impacts: The TTIP would threaten nation states’ legislative abilities. Under the proposed investor protection chapter, the Investor-to-State Dispute Settlement would allow investors to sue EU countries for loss of future profits if a country creates new regulation that could impact that investment. Neither governments, civil society or national businesses can take a case against investors under such international tribunals. The mechanism is only open to multinational companies operating in another jurisdiction, and has already led to multinationals suing countries for regulating in a host of environmental, health and safety areas. Besides, buinesses may be able to influence laws that could impact our social, environmental and consumer standards before they’re even discussed at national level. Least Developed Countries: As a result of a fall in EU demand for exports from Less Developed Countries (LDCs), TTIP would mean a real reduction in GDP for LDCs. For example, GDP in Latin American countries could decrease by 2.8%, a loss of at least € 20 billion over 10 years. Therefore, signing up to TTIP certainly won't help the EU make much headway when it comes to its commitments to eradicate poverty in LDCs. Lowering of Standards: The dominance of commercial interests on various public and essential services can lead to lower standards to the detriment of public health, public safety, workers’ and consumers’ rights and environmental protection. 80% of the supposed estimated economic benefits depend on the removal or harmonisation of regulations, administrative procedures, and standards - non-tariff measures (NTMs) which could pose a serious threat to consumer health, public health, and environmental safety. The EU generally has higher labour standards than the US, who have not ratified six of the core International Labour Organisation (ILO) conventions. Precautionary Principle: The precautionary principle is based on the idea that if a risk or danger to humans, animals or the environment cannot be ruled out in a product or process, that product or process is banned. This is one of the EU’s greatest achievements, which risks to be undermined by US policy which is not based on this tradition. Public Funds: Eliminating tariffs under TTIP will mean losses to public budgets as revenue raised from customs duties will be lost – this would be a 2% loss to the EU budget, or € 2.6 billion a year. Public Services: The further liberalization, commercialisation and privatization of essential public services such could result due to the TTIP. Reduction of trade between EU member states: TTIP will reduce trade between EU countries by up to 30% as EU countries' exports won't be able to compete with increased levels of cheap imports from the US. A spike in US imports could also bring about trade deficits in the EU (where imports exceed exports), and this could pose severe problems for some member states. Secrecy: There is too much secrecy in the negotiating process. Both the European Council and the European Parliament have been left out of the negotiating process, as too has the Congress and the Senate in the US. The original EU position texts are only accessible to the Council, members of the INTA committee and handful of other committee chairs in the European Parliament. No one has seen the US proposals. Concerns exist on secrecy and lack of transparency once joint proposals for a final text are drafted by both sides. Natitional parliaments, local councils and civil society organisations are also being left in the dark. Social Costs: Problematic methodological flaws and shortcomings in influential European Commission-endorsed TTIP impact assessments by Ecorys, CEPR, CEPII, and Bertelsmann/ifo which weakens the predictions these reports make about supposed positive impacts of TTIP. None of the studies take into account the social costs of TTIP. Taxpayers’ money: The investor-to-state dispute settlement (ISDS) mechanism as part of TTIP could lead to governments abstaining from enacting regulation that ran counter to multinationals' interests. Such a mechanism could also see governments having to pay compensation to multinationals with taxpayers' money. Taxpayers will pay out compensation costs to multinationals who take cases against EU countries if they feel their future profits will be affected by new or existing legislation. The TTIP should be subjected to a comprehensive impact assessment before proceeding. The TTIP should be subject to a democratic discussion in the European Parliament and within European and national civil societies, and to full transparency before proceeding. It should also be subject to a referendum. The TTIP should not result in lower standards to the detriment of public health, public security, workers’ and consumers’ rights and environmental protection. The TTIP should not transfer regulatory competence from democratic institutions to unelected technocratic institutions. The TTIP should not allow the liberalisation and privatisation of public services such as health, culture, water, social services and education. The TTIP should not reduce political autonomy on cultural productions, educational activities and local policies. The Front is inviting other NGOs, political parties and interested individuals to join the initiative. 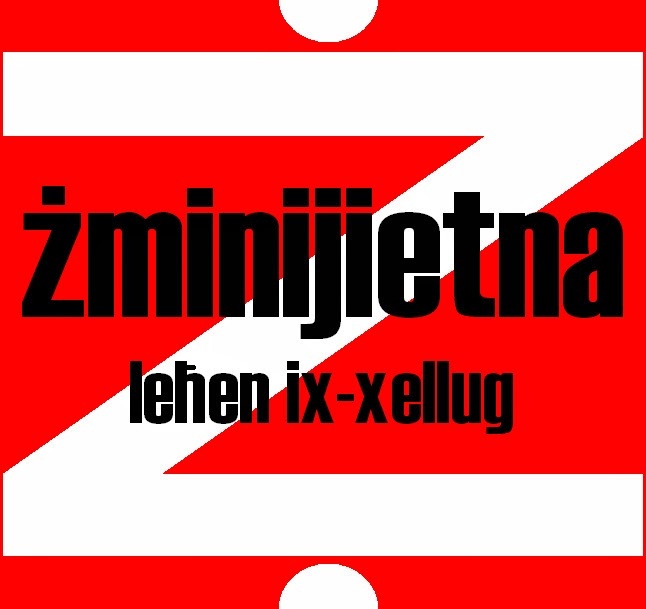 Żminijietna – Voice of the Left appeals to MEPA to protect agricultural, ecological, and open space areas in the implementation of its new policy for the building of petrol stations. "MEPA should also conduct specific studies on the need for more petrol stations and identify specific areas that might be good to develop petrol station. While Żminijietna agrees with the proposal of ‘preferable areas’ that target industrial zones, or unused quarries, we do not agree with the proposal to make use of non-used agricultural land. If this is allowed, we will sacrifice more open spaces for development". Żminijietna – Voice of the Left therefore urges MEPA to issue a clear policy that is environmentally sustainable.